Blue Springs police are investigating a series of vandalism involving a BB gun that damaged several homes and cars. BLUE SPRINGS, Mo. — Blue Springs police are investigating a series of vandalism involving a BB gun that damaged several homes and cars. “I just don’t understand why. 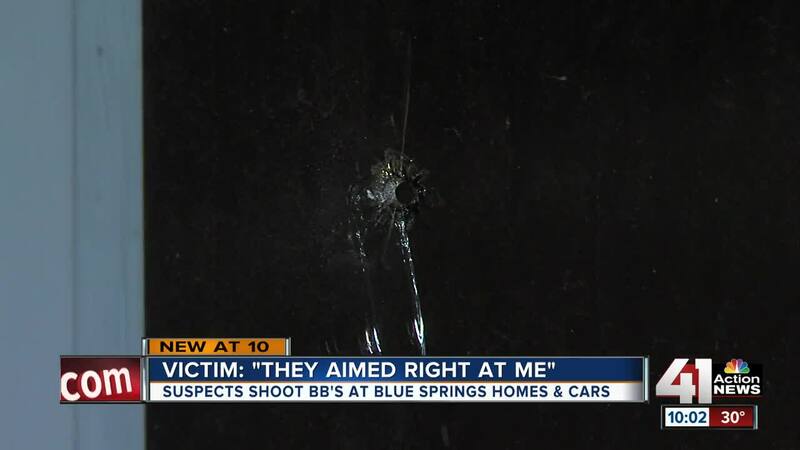 Why would you shoot at someone for no reason?” said Leslie Mills, whose driver’s side window now has a BB-sized hole. Neither she nor her daughters were injured but the BB punctured her driver side window. “You’re not safe in your own house right now,” said Mark Fisher, whose home was also randomly targeted. A BB broke through his front window just inches from his wife, who at the time was sitting at the kitchen table. At least two other neighbors also reported damage to police.